Bellator MMA heavyweight Kevin “Kimbo Slice” Ferguson (pictured) was admitted to a Florida hospital Monday. Police are currently at the 42-year-old’s house in Coral Springs home trying to gather more information from his family members. Bellator has not addressed Ferguson’s condition. 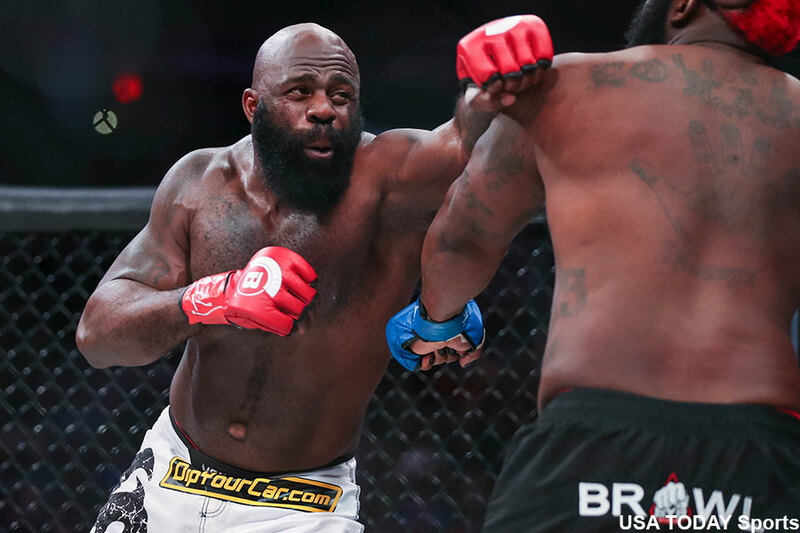 Ferguson, who is currently serving a yearlong steroid suspension following February’s fight against Dhafir “Dada 5000” Harris, is currently slated to fight James Thompson at Belltor 158 on July 16 at O2 Arena in London. Ferguson’s suspension is only effective in the state of Texas, for some reason. Bellator president Scott Coker has just confirmed Ferguson’s passing. Please click HERE for the story.